Pride comes before a fall! I was so proud of my first bread crock and had been thinking about how I was going to decorate it. 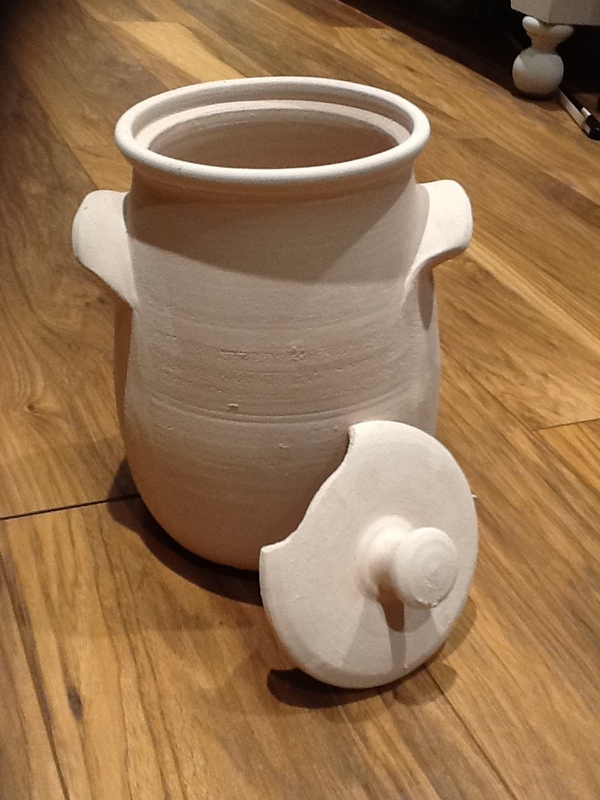 In my eagerness to get it fired it seems I didn't get it thoroughly dry before the bisque firing. I brought some of the pots into the house to try and dry them out quicker. I usually leave them in the oven for an hour or so before firing if I'm in any doubt about their dryness. In this instance i thought the pot was dry enough.